Shahid Kapoor has been signed to play the lead role in the remake of Tamil superhit movie Vettai. The actor will be reprising the role of a jobless and fun-loving guy played by Arya in the original. With this film, director N Lingusamy, who directed the original, will be making his debut in Bollywood. It is said that recently UTV Motion Pictures arranged a special screening of Vettai for Shahid Kapoor and the storyline impressed him. Shahid Kapoor gave a nod to star in the film instantly and allotted the dates for the film. However, the production house is yet to finalise the other cast and crew. He will be touching his landmark 150th film as an actor with his soon to be released Kannada-Tamil-Telugu trilingual titled Prasad. On Prasad: he says "In the 26 years of my film career, I haven't done a film like Prasad. It is an emotion-packed film. I play a mechanic from a lower middleclass family and Madhuri Bhattacharya plays the role of my wife. When she conceives, the mechanic wishes for a baby boy. He is on top of the world when his wife delivers a baby boy but is shattered when he realises that the child is deaf and dumb. Manoj Sati has made a realistic film, without any exaggeration. The climax will explain why I accepted a film like Prasad. The highlight of the movie is 7-year-old Sankalp, who plays the title role and is deaf and mute in real life as well. On his Berlin Fest experience: Since the movie had a global theme and message, producer Ashok Kheny made a festival version also. The Kannada version was premiered at the Berlin International Film Festival recently. and the response was tremendous Joining Mani Ratnam in Kadal: I can't reveal much! It should come from Mani sir. But, it is not a role with grey shades! Apart from the 'Mani' factor, what prompted me to accept this flick was its unusual characterisation. Returning to direction: I have agreed to direct a film for Aascar Films. It is an action movie and I play the lead. Also, talks are on with Eros International for directing a Hindi movie. Future offerings: Apart from Kadal, there is Vana Yuddhama by AMR Ramesh. Maasi with Kicha is ready for release. and Moondru Per Moondru Kadhal with director Vasanth. AR Rahman's student Ved Shankar will be making his debut in the music industry with Naduvala Konjam Pakkatha Kaanom. It is a film to be directed by Balaji Tharaneetharan and features newcomers, Vijay Sedhupathi and Bagavathi. Andrea has sung one of the tracks and Ved Shankar has also rendered a number in his voice. Ved Shankar was the first student enrolled among the 40 students, AR Rahman handpicked personally for his KM Music Conservatory which he founded in July 2008. Not surprisingly, a lot is expected from Ved Shankar and he will be hoping to make AR Rahman proud. 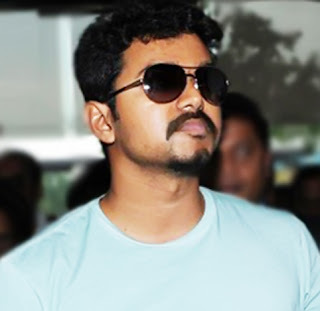 Actor Vijay who had been donning lead roles in the films is going to become a producer soon. Vijay is going to remake the Tamil film Sattam Oru Iruttarai which was earlier directed by his father S A Chandrasekaran. This film gave Vijayakanth a break. Prabhu's son Vikram Prabhu who is currently acting in Kumki directed by Prabhu Solomon will be donning the lead role in this film. Vikram after completing Kumki will act in this film to be produced by Vijay. Vijay has named his production house as Ghilli Films. 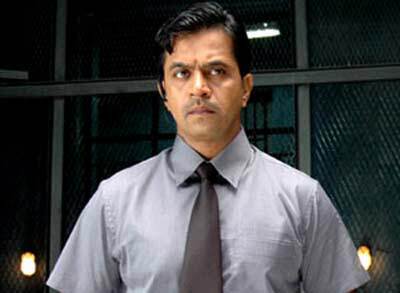 It is a known fact that Vijay himself was very much interested to act in the remake of Sattam Oru Iruttarai.